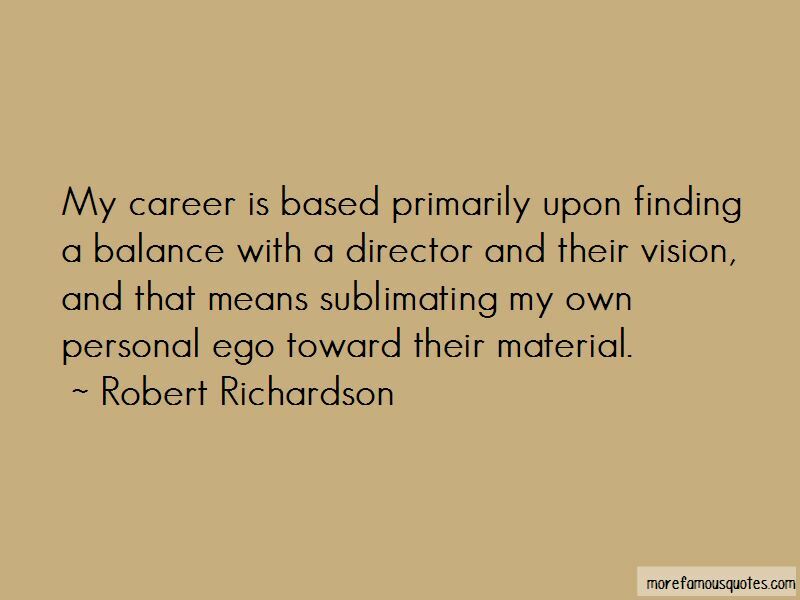 Enjoy the top 9 famous quotes, sayings and quotations by Robert Richardson. During a movie, you lose all ability to focus on your own interests. Your life is in service. After that you just want to disappear, switch off the phone, and sleep and watch movies for a month. I feel comfortable with either digital or film - the director and the project should determine the course of choice. 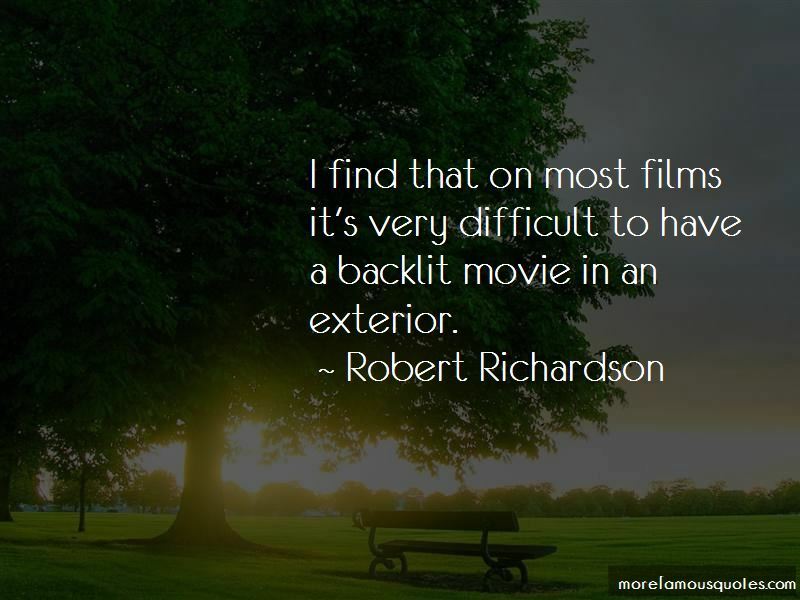 Want to see more pictures of Robert Richardson quotes? 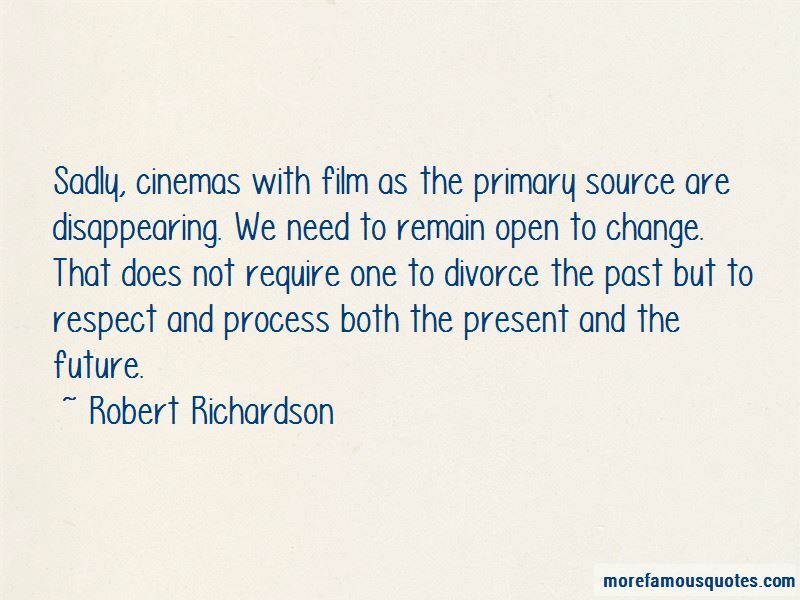 Click on image of Robert Richardson quotes to view full size.